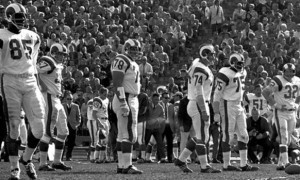 When the Los Angeles Rams exit the Memorial Coliseum’s iconic west-end tunnel this August as the home team for the first time since 1979, they’ll do so once again sporting one of the youngest offensive lines in the NFL. The unit, which has been vexed by inconsistent play and injury over the last decade, finally started to show signs of improvement and stability over the last month of the 2015 campaign. The line’s improvement was evident as the Rams closed the season out by winning three of their last four contests. It’s a unit the Rams have invested heavily in during the past two drafts, using selections to nab starting RT Rob Havenstein, RG Jamon Brown, and LT Greg Robinson, along with young offensive linemen Andrew Donnal and Cody Wichmann. Both Donnal and Wichmann saw valuable playing time as rookies. The team’s improved depth proved crucial last year as once again key members struggled to stay healthy. 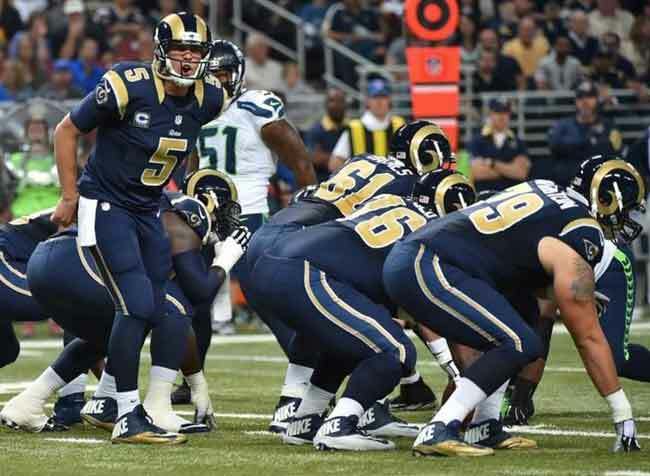 Season-ending injuries to Rodger Saffold and Brown forced the Rams to constantly juggle pieces along the offensive front. Little did they know it at the time, but the under the radar free agent acquisition of free agent guard Garrett Reynolds last offseason was especially fortuitous for the franchise. Reynolds provided a much-needed boost in the running game after taking over for the oft-injured Saffold. All in all, the Rams have a young group that has for better or worse, logged a decent amount of playing time early in their careers. Although the unit as a whole finished 28th overall in PFF’s offensive line rankings, the fact that it allowed the fewest sacks in the NFL (18) and help paved the way for rookie running back Todd Gurley to gain 1100 yards in his rookie year, shows promise for the future. Rams might have found a long-term right tackle in Havenstein. When the Rams drafted Greg Robinson second overall in the 2014 NFL Draft, they thought they were getting a player with the ability to be a fixture at the left tackle position for many years to come. Unfortunately, his development in the NFL hasn’t gone smoothly, and his play hasn’t yet risen to a level befitting his draft status. 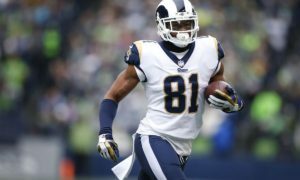 The Rams remain committed to Robinson, but unless he figures it out at the NFL level and soon, the team will be forced to cut their losses and turn elsewhere. The Jared Cook experiment is over. 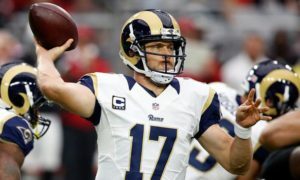 Cook signed a 5-year 35 million dollar contract with the Rams in 2013 after spending his first 4 seasons with the Tennessee Titans. The speedy 6′ 5″ tight end’s best season came in that 2013 campaign when he netted 51 catches with five touchdowns. Unfortunately, Cook’s impact and production slowed over the last two seasons, ultimately leading to his being a cap casualty this offseason. The Rams were scheduled to be on the hook for a 8.3 million dollar cap hit had he remained on the roster. 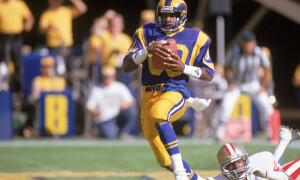 Overall, Cook was credited with 142 receptions and 8 TD’s during his 3-year tenure with the Rams. Lance Kendricks and Justice Cunningham are the only two players under contract at the position as the Rams head into the draft. 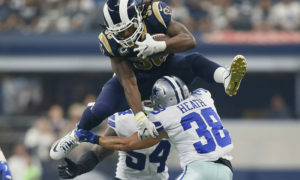 A second round draft pick of the Rams in the 2011 draft, Kendricks has hauled in 154 passes with 15 td’s over the last five seasons. He is under contract through the 2018 season. 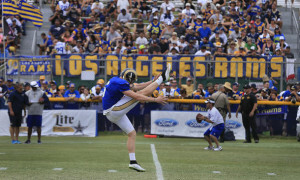 Cunningham has seen limited game action, spending the majority of the last two seasons on the Rams practice squad. 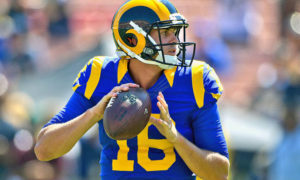 Obviously, the Rams need to address the depth issue at the position as the team heads into the draft and OTA’s in April. 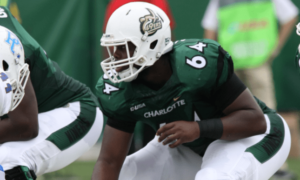 Re-signing UFA Cory Harkey remains an option. Harkey, a fifth year pro, is a sturdy and solid blocking tight end who has spent the last four years with the Rams. Harkey was a key component in coach Paul Boudreau’s blocking schemes that allowed Todd Gurley to post outstanding numbers in his rookie campaign. The Rams could still look elsewhere on the free-agent market to bolster their depth, but limited options remain. Zach Miller, ex-Ram Daniel Fells and Vernon Davis being a few of the biggest names still unattached. Miller burnt the Rams in St Louis last season with 5 catches for 107 yards and touchdowns as the Bears cruised to a 37-13 win. 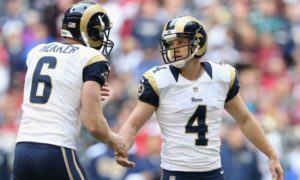 The Rams were scheduled to bring Miller in for a visit on March 13. If he does sign, he would be re-united with ex-Bears WR coach Mike Groh. Rams recently hired Groh as their passing game coordinator/WR coach this offseason. 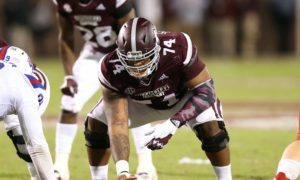 Although this is considered a weak class at the position this year, the Rams could also look to the draft. 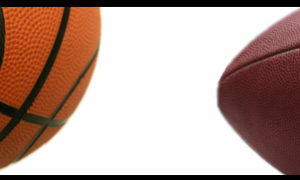 Top draft prospects available are Alabama’s Hunter Henry, Stanford’s Austin Hooper, and South Carolina’s Jerell Adams. NOTE: 3/16/16: At time of this writing – Miller and Harkey were still UFA’s. Miller has since re-signed with Chicago and Harkey agreed to contract terms with Rams. Terms of Harkey’s contract were undisclosed at time of announcement. 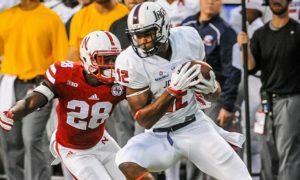 The Rams reached into the college ranks to fill their vacant TE coaching position hiring former Georgia assistant coach John Lilly. Lilly replaces Rob Boras, who himself replaced Frank Cignetti as offensive coordinator. Lilly has spent his entire career in the college ranks, the last seasons at Georgia.